Today I’ll step in from the frigid breeze howling through the garden to comment on the sad state of the nursery industry. I have worked in the landscape business for nearly thirty-five years, and have gained friendships with many fine people, both local competitors and vendors from across the country that our garden centers purchase plants and gardening related items from. The times are desperate for many. Our company saw the beginnings of the current economic downturn in the early summer of 2006, and we have been confronted with diminished sales for three years. Like many companies we are now smaller in number, with some wonderful people falling victim to the downsizing through no fault of their own. We are seeing some small signs of an upswing, but others have not been so fortunate. Why should you care about the plight of our industry? Like many Americans, you’re likely to have troubles of your own, but if you’re a gardener there are short and long term implications to consider. As America’s economy flourished through the early to mid 2000’s garden centers, landscapers, and plant growing nurseries expanded to fill the demand. From my perspective I see that garden centers and landscapers have adjusted more readily to the downturn, but plant growers who must plan and plant a crop several year ahead of its harvest have had a more difficult journey. Once a crop of trees or shrubs is ready for market there is a short shelf life before a container grown plant is overgrown, rootbound, and must be tossed out. There is an optimum size to sell for each type of tree, whether a Frasier fir for Christmas, an October Glory red maple for shade, or a flowering dogwood, and once a tree has gone unsold and grown larger the quantities that can be sold diminish substantially, as does their value. In the past few weeks and months several well established mailorder and wholesale growing nurseries have gone out of business, and most others are struggling mightily. The hardest hit have been tree growers, who increased the numbers of young trees planted to meet increased demand as residential and commercial building skyrocketed. While business slowed trees continued to grow, and I have seen growers cut down every other tree in a row to avoid damaging the unsold trees as they grow into each other. 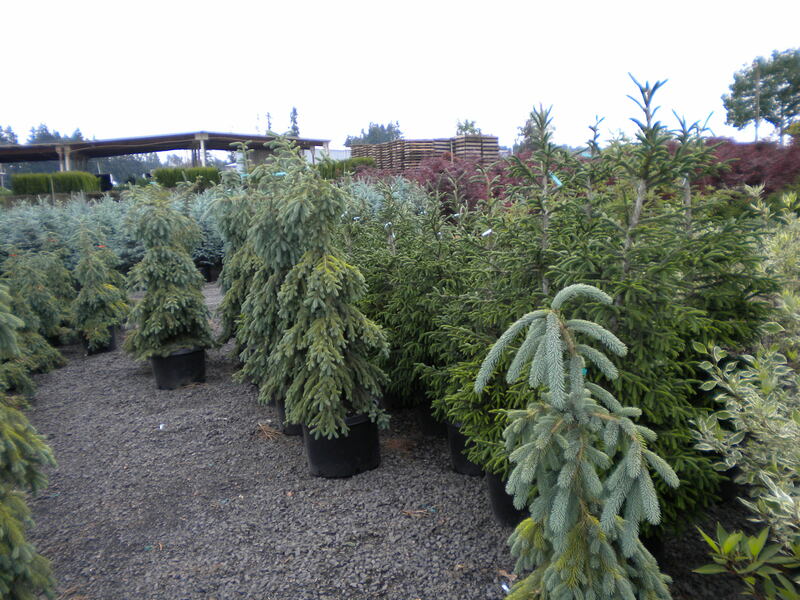 Still, there are many more trees than can be sold, and prices have steadily dropped. 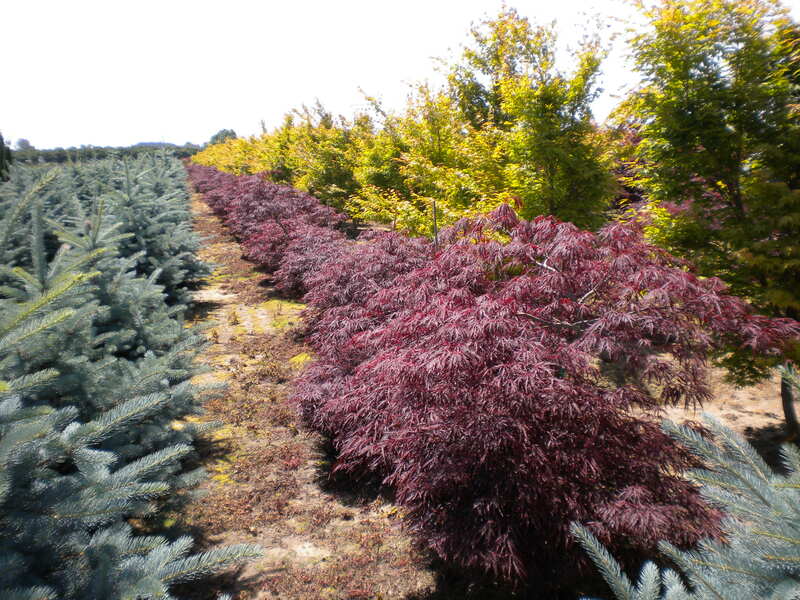 Shade and flowering trees, and Japanese maples are priced at the lowest point in almost two decades, so for those consumers able to take advantage there are excellent values available. Labor and material costs have steadily increased through the years, and have not declined significantly enough for nurseries to stay in business as sales have slowed. Many have hung on, hoping that the next year will bring a turnaround, but as the problems continue some have closed their doors. Most growing nurseries have cut labor to a minimum, and have cut expenses to the point that future crops will be cut severely. 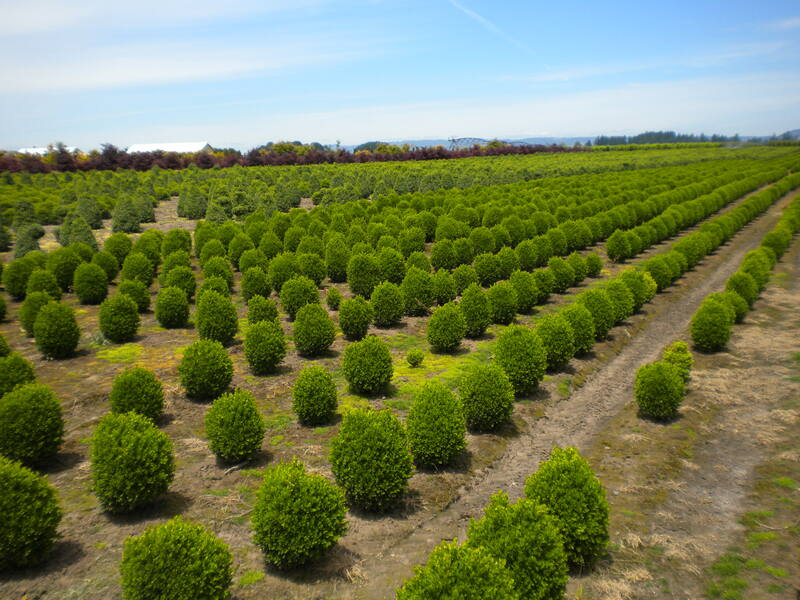 Because production decisions must be made years ahead, nursery growers are particularly vunerable to oversupply when demand wanes, and then shortages a few year later as they react by cutting production. In the next few years we will see shortages of plants as nurseries go out of business, and others have cut the numbers of plants that they grow. The oversupply and shortage cycle is not unusual, but this one is the most severe that I’ve seen. The result will be fewer nurseries that supply plants, and fewer plants being grown by the nurseries that survive. As demand increases, even slightly, and supplies are low, prices will increase. Through the first half of 2011 I expect that there will continue to be some great plant values, but then the oversupplies will run out, and we’ll see garden center prices return to where they were a few years ago. I’ll be at home, taking note of each bulb that breaks through the soil, and every leaf and flower bud that begins to swell in anticipation of spring. I don’t take vacations so that I can afford a reasonable budget for new plant purchases. The leaves are piled high in parts of the garden, and on the occasional warm winter afternoon I’ll venture out to work a bit on their clean up. While I take a break from weeding and planting, I’ll keep the journal going with features on favored trees, evergreens, and shrubs, and I’m certain that there will be a few catastrophes to keep things entertaining. In a few days I’ll report on the year’s successes and failures in dealing with the ever growing deer population, and in a week or two I’ll report on dealing with the other dear in my life, a non-gardening wife. If that sounds like a plan, stop in on occasion, and while I’m resting up for planting season let me know if there’s an urgent matter that you’d like for me to address. Thanks for dropping by, and I hope to see you soon.